Heinrich Schutz (1585-1672) was the most important and influential German composer of the seventeenth century. Director of music at the electoral Saxon court in Dresden, he was lauded by his German contemporaries as "the father of our modern music", as "the Orpheus of our time." Yet despite the esteem in which his music is still held today, Schutz himself and the rich cultural environment in which he lived continue to be little known or understood beyond the linguistic borders of his native Germany. Drawing on original manuscript and print sources, A Heinrich Schutz Reader brings the composer to life through more than 150 documents by or about Heinrich Schutz, from his earliest studies under Giovanni Gabrieli to accounts of his final hours. Editor and translator Gregory S. Johnston penetrates the archaic script, confronts the haphazard orthography and obsolete vocabulary, and untangles the knotted grammatical constructions and syntax to produce translations that allow English speakers, as never before, to engage the composer directly. Most of the German, Latin and Italian documents included in this volume appear for the first time in English translation. A number of these texts have not even been printed in their original language. Dedications and prefaces of his printed music, letters and memoranda, poetry and petitions, travel passes and contracts, all offer immediate and unabridged access to the composer's life. 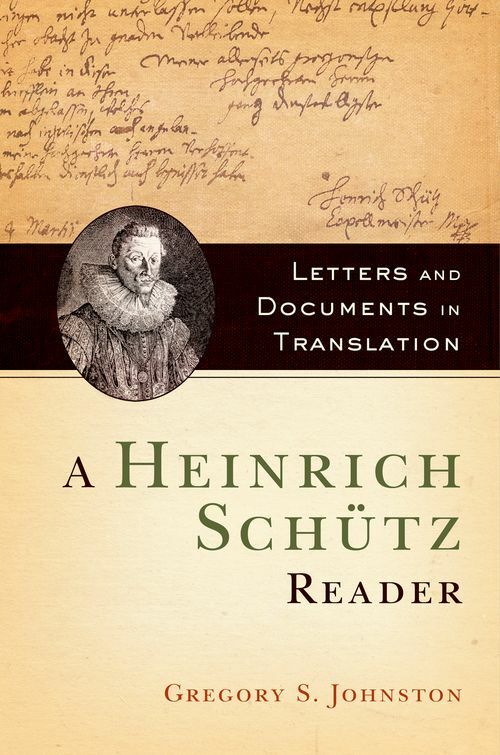 To habituate the reader ever more in Schutz's world, the entries are richly annotated with biographical detail; clarifications of professional relationships and ancestral lines; information on geographic regions, domains, cities, courts and institutions; and references to biblical, classical and contemporary literary sources. Johnston opens a door for researchers and scholars across a broad range of disciplines, and at the same time provides an historical complement and literary companion for anyone who has come to appreciate the beauty of Schutz's music. Gregory S. Johnston is Associate Professor of Musicology at the University of Toronto.